This 2PCS Metal Pen Set with Classy Gift Box features polish lacquer alumium upper barrel and UV chrome aluminum lowerbarrel, pen body complement with shiny chrome details and metal clip. one end is Ballpoint Pen, and another end is build-in black soft rubber stylus tip. there are 2 pair pen in one classy box. Laser engraving customized logo is available on this Factory Direct Sale Gift Pen Set, greatly addes the apperance and most important is to promote your sales or boost your popularity. 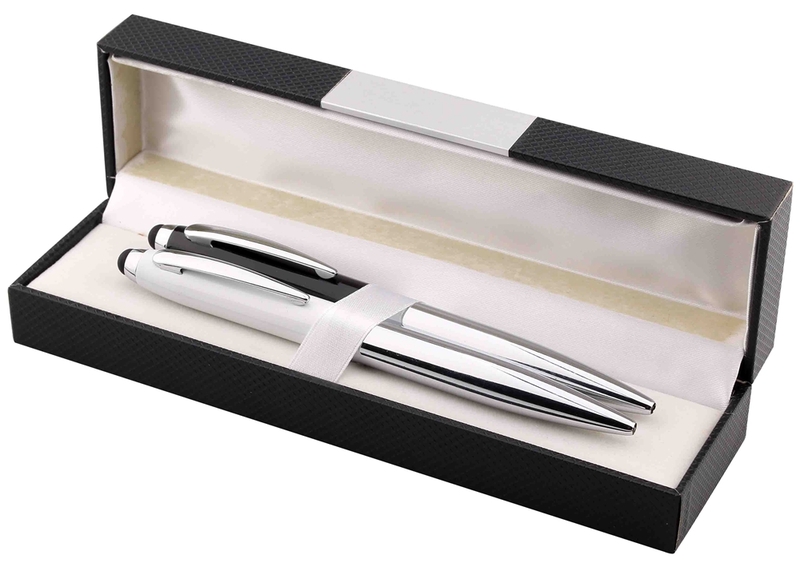 This Business Anniversary Gift Pen Set is weight enough to have a just right handle feel. the refill is parker refill with black or blue ink. German and chinese ink for you to choice from. Sturdy shiny metal clip make it easy to carry with you anytime, anywhere. This Luxury Gift Set is perfect for the business anniversary gift, company or school prize and souvenir, or high end Hotel Pen and so on. 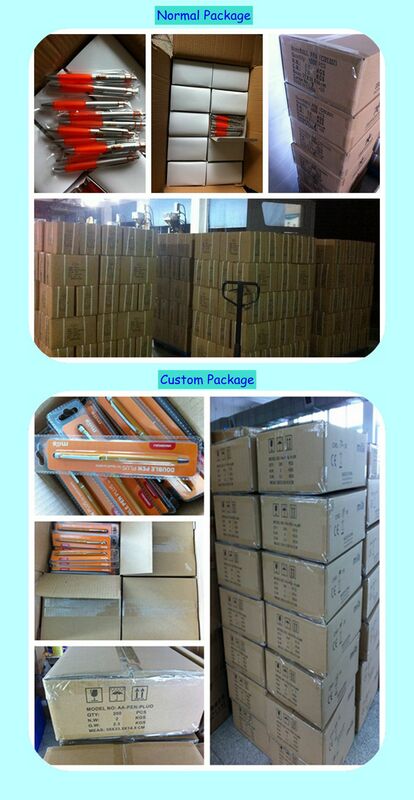 Small quantity by express DHL,TNT,EMS,UPS,Fedex etc. 1. What is the sample policy? Existing samples are freee, but the postage and tax to be paid by customer; custom Logo will chage the plate making fee, can be returned after the order confirm. 2. What is the time for a sample? We can offer the samples in stock within 3 days, for the customized samples, it takes about 5-7days. 3. Can we make customized colour? 4. What is the MOQ policy? Generally 1000-3000pcs, order quantity is small and the cost will increase, pricing according to your request and design. 5. What is the payments? 30% deposit, the balance T/T before shipment or B/L copy at sight, L/C at sight, westernunion. 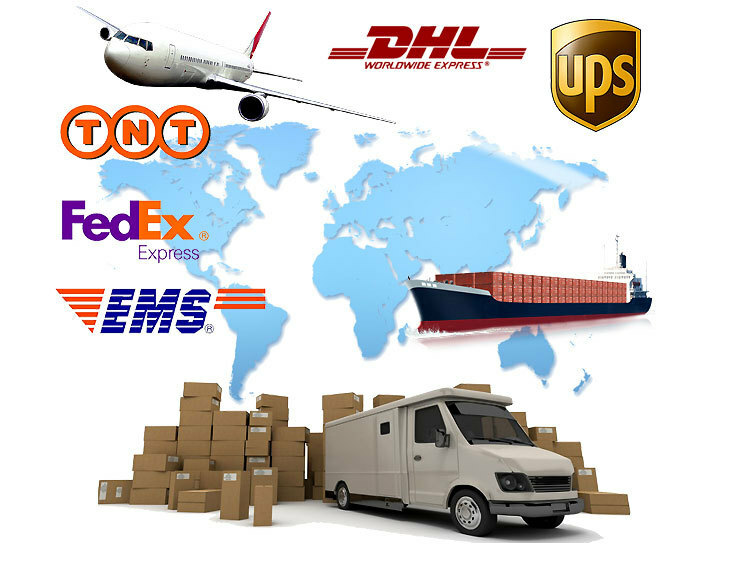 By Sea or Air, Small quantity by express DHL,TNT,EMS,UPS,Fedex etc. 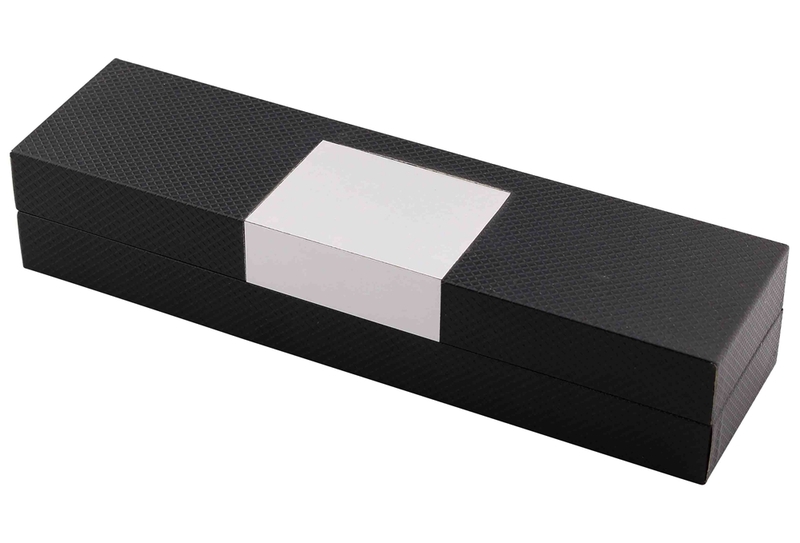 Looking for ideal Factory Direct Sale Gift Pen Set Manufacturer & supplier ? We have a wide selection at great prices to help you get creative. All the Business Anniversary Gift Pen Set are quality guaranteed. We are China Origin Factory of Promotion Gift Metal Ballpoint Pen Set. If you have any question, please feel free to contact us. Copyright © 2019 HANGZHOU ZHANQING STATIONERY AND GIFT CO.,LTD. All rights reserved.